Spanish is the second most commonly spoken language in the world. That’s one step above English, and one below Mandarin. No wonder so many people are looking for the best resources to learn Spanish online. 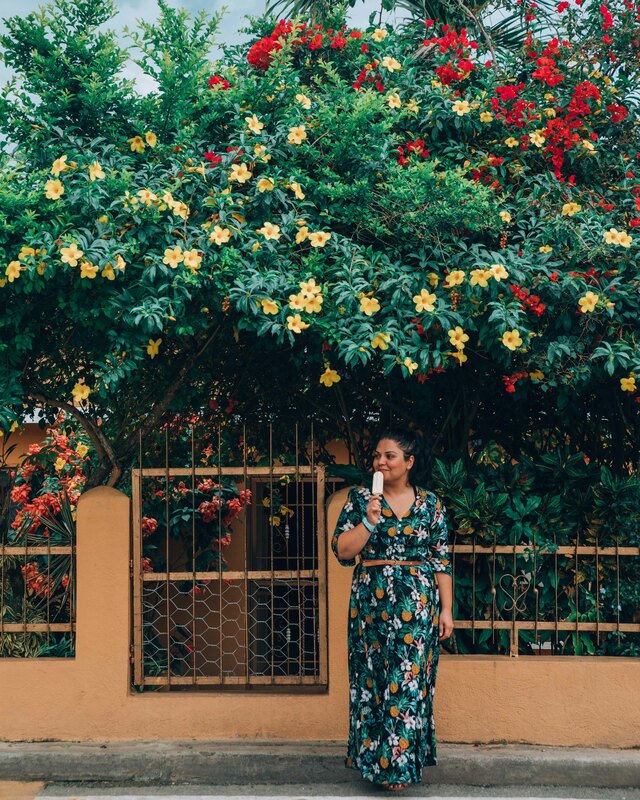 A huge part of the reason we travel is to get access to new cultures, people, food and languages. Having grown up in a multilingual household instilled a love for new languages from a really early age, and having lived in a few countries before the age of 12 meant that we had the opportunity to pick up new languages rather seamlessly- just by proximity. But living in North America ensures that we communicate primarily in English. That’s not a bad thing- but when you travel as much as we do, knowing another language if not only nice to have, but also quite handy- particularly when you’re trying to communicate in areas where vendors or the locals aren’t as adept at English, and speaking with your hands only goes far. That said, one of our major goals this year as a team was to learn a new language- we decided to learn Spanish online because it was the one that everyone had an interest in. So, after researching extensively, we found ourselves settling on Rosetta Stone as the tool that was going to help us meet our new language goal. Rosetta Stone is quite possibly the most recognized language learning program out there- (it’s so popular that Drake raps about it- and that says it all) and probably the best way to learn Spanish. Everyone from schools, businesses, and everyday travelers use the program to either enhance a language skill or to learn a new one. With 30 different languages under its umbrella, and with subscriptions ranging from 3-24 months, chances are that it fits in most budgets and language interests. It’s also available on both desktop and mobile so it’s easy to jump on the app while on a flight or a train (or if you’re like one of our team members- while you’re at the gym). What we love about the program is that the user interface (we’re huge suckers for UI) is really easy to use, and the lessons, challenges, and activities work with a variety of learning behaviors and styles. 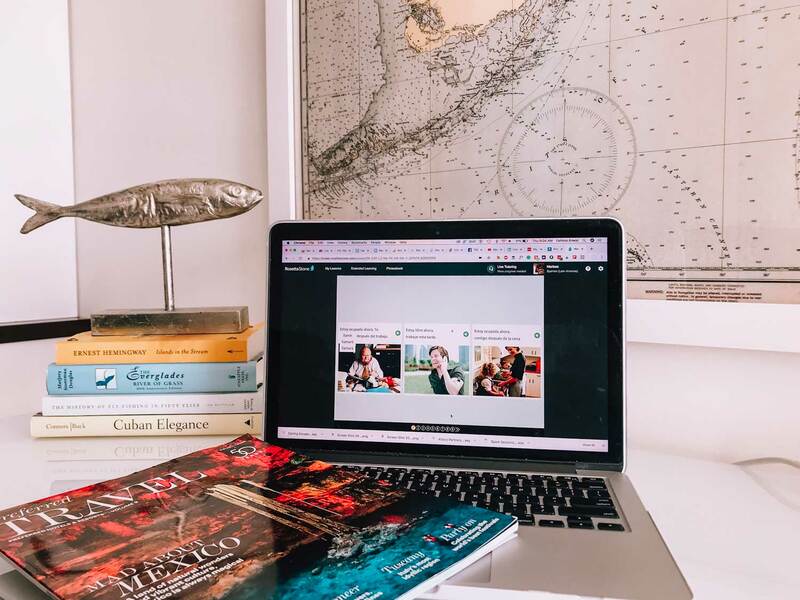 We can’t even begin to explain the extensive amount of research and decades that has gone into creating a comprehensive and immersive program like Rosetta Stone, but what we can say is that it worked for us- all of us. The thing that we loved is that it’s actually learning the language from day one. 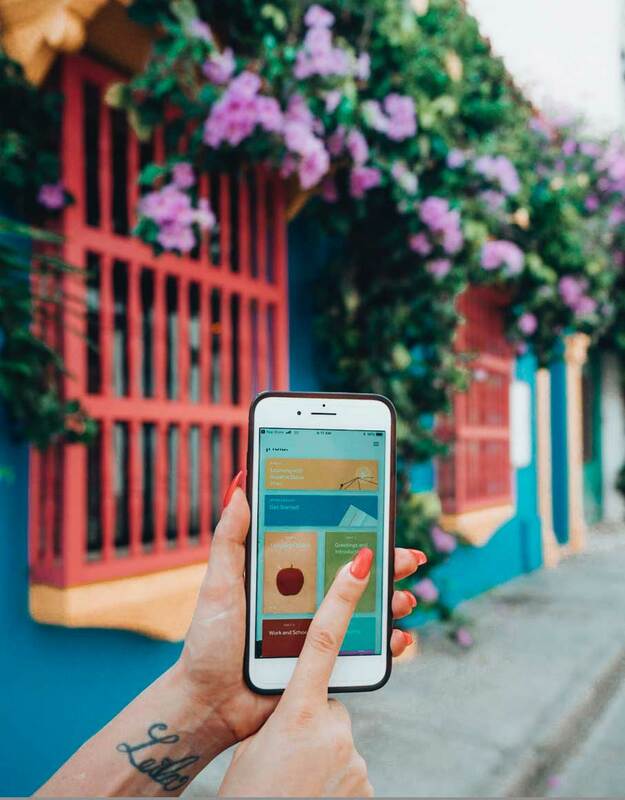 When we first logged into the app on our phone we expected to have our handheld with an English translator and instructions walking us through the program- let’s just say we were wrong- so wrong. One of the key reasons it works is that its focus is teaching the language in a conversational sense and not fully academic sense- meaning that you don’t start with learning a long of list of words but rather learning the words accompanied with an image. So you learn the word in context with proper structure from the start. Honestly, the challenges make it much more interactive- not only do you have to repeat the words that you hear and see properly in order to move to the next screen, but at times you also have to match with you hear (without seeing the words on screen) to the image in front of you in order to advance. The best a way to up your language game and learn spanish online. Rosetta Stone is the way to go. Basically, the program functions the same way you would if someone was speaking to you in a different language- you hear the words, and decipher what they mean- this way your brain burns neuropathways to store the words in your memory bank. Each language on Rosetta Stone has somewhere between 12-20 units. The Spanish one has 20 units, and each contains 4 lessons made up of 20+ exercises on everything from super basic like boy, girl all the way up to modules on arts and academics and emergency situations. While each unit gets harder than the next, all of the units are unlocked so you can opt to jump around if you wanted to. We don’t recommend doing that as there’s a reason behind why the units are offered in that particular order. You can, however, go back to any unit to brush up on something that you might have missed. 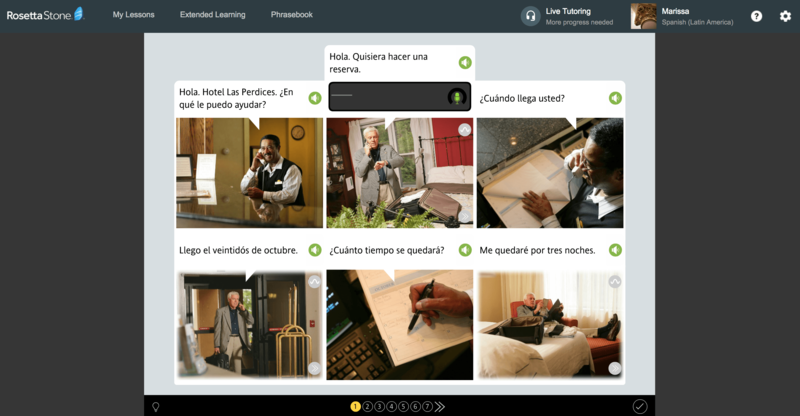 Rosetta Stone makes learning Spanish so much easier with their TruAccent technology which helps perfect your pronunciation of each word and sentence- thus taking your language to a whole new level. Bonus: One of the neatest add-on features that we had access to is native language tutors to help the conversation ball rolling with and comfortable with everyday conversations. Being in transit as much as we are, means that we spend a lot of time on airplanes, trains, and cars- essential idle time that could be used more productively. And because Rosetta Stone is so flexible in how we can use it- it’s easy to slide into our daily routines! 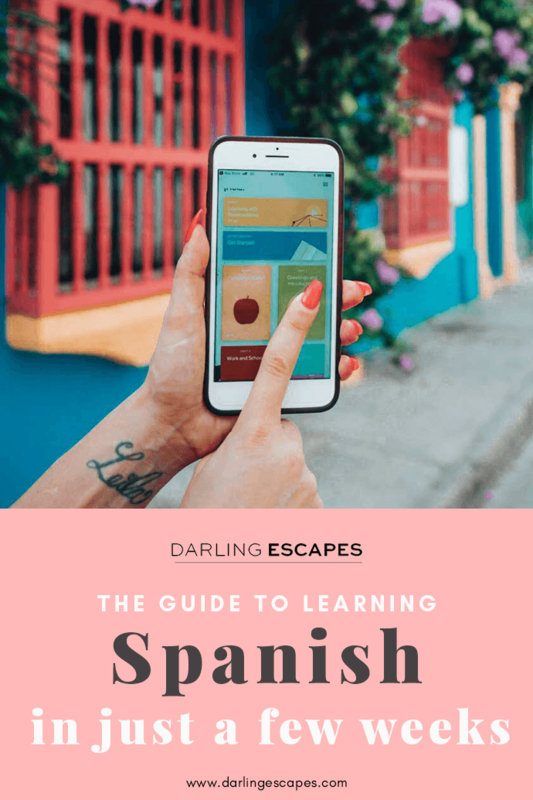 One of the things that made it easy to learn Spanish online was that you didn’t actually have to be online to learn- you can download modules in advance so you can keep going thru the program offline as well. One of the best things that we love about it is that you can always pick up where you left off, and not feel bad about missing a day or 2 logging in- it’s set up in a way that works around your life and other commitments- more self-study vibes than summer school vibes. Looking for a way to up your language game and learn spanish online? This is how you do it! That said, it helps to want to be passionate about what you’re learning because you’re not going have someone holding your hand. This is one of the main reasons we decided to do this as a team activity- the minimal investment of a few minutes a day, and having a group who challenged and motivated each other along the way made it incredibly easy to reach our goals. We’ve been going through the program daily for 15-30 minutes for a few weeks now, and had the chance to use our newly acquired language skills on a trip to Colombia. 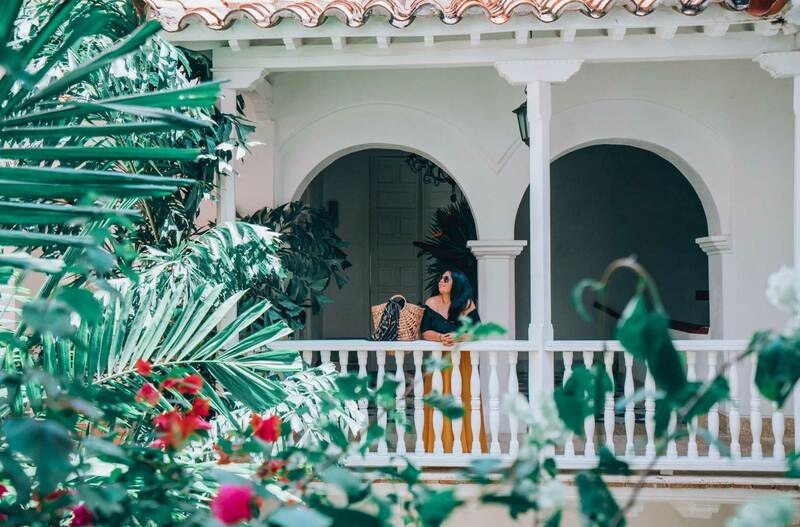 Let’s just say that the comfort level of traveling to a new place and feeling a little more confident in navigating our way around without a guide around is worth its weight in gold. And as soon as we get really comfortable with the Spanish, we’re going to tackle Italian, and German. 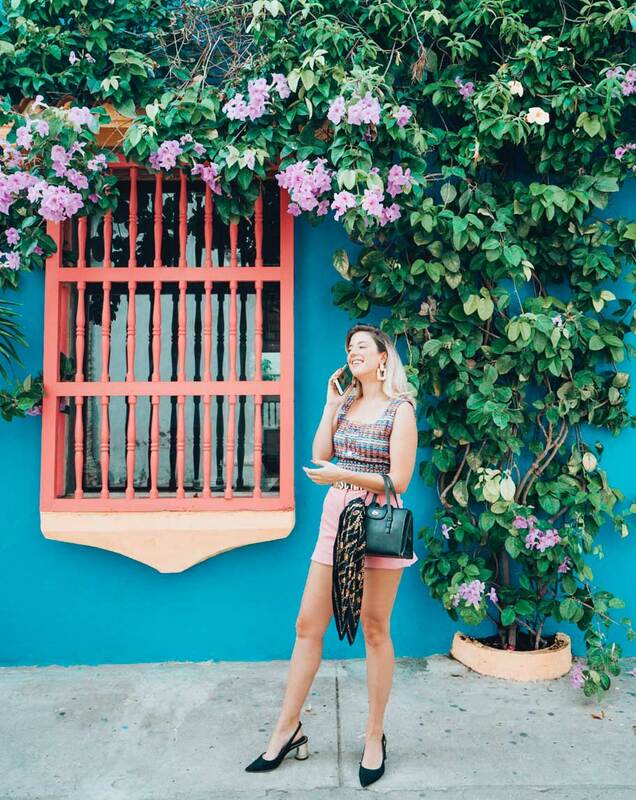 All in all, Rosetta Stone makes it easy to learn Spanish online– it actually makes it easy to learn any of the 30 languages they offer online really simple and user-friendly. If learning a new language is on your list this year, then Rosetta Stone is the solid choice for your language learning needs. 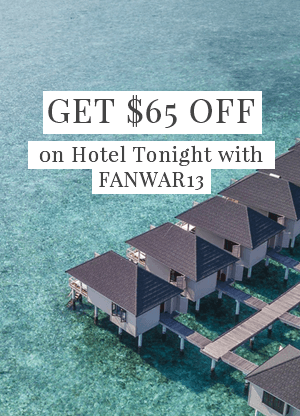 Get 25% off your 24 month subscription here! This post is in partnership with Rosetta Stone- but the opinions are all ours. 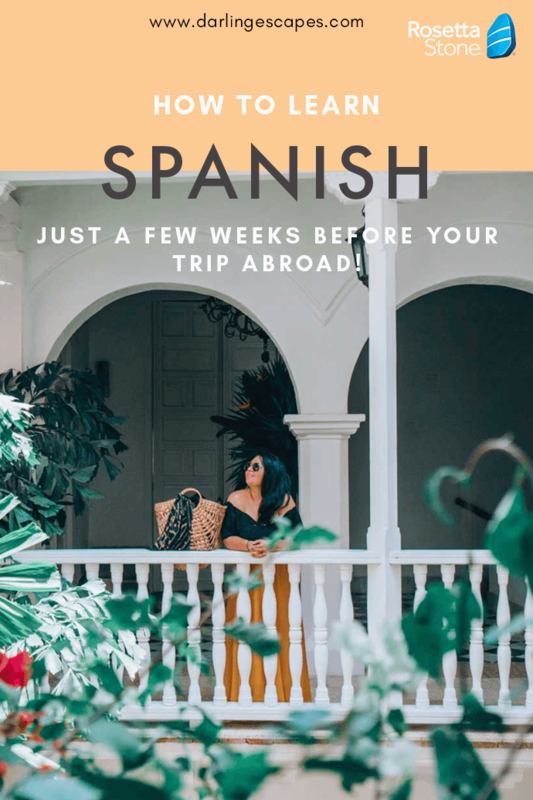 Looking to learn the basics of Spanish or become fully-fluent in the language for your next trip abroad? We've got the perfect tool for you that will have you speaking like a local in no time! 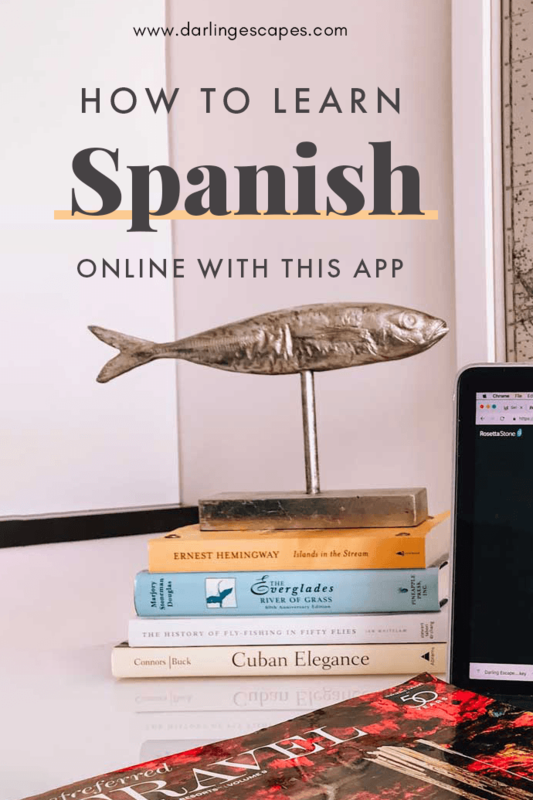 Learning Spanish online is super easy with this neat app we've found! 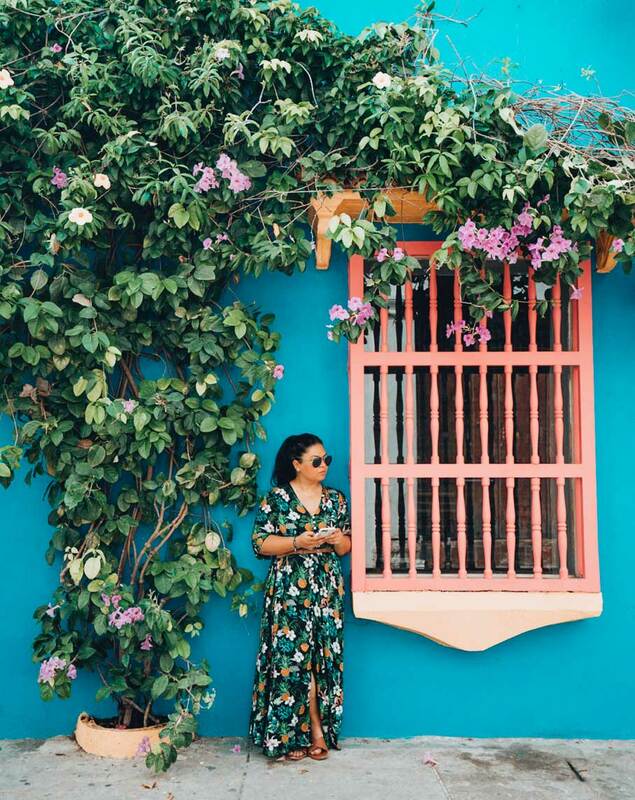 Want to be prepared for your next trip to Spain or Latin America? You'll be able to become fluent in no time, all from the comfort of your phone! This was an interesting read – I’ve previously downloaded the Rosetta Stone app to test it out for learning Italian, but I didn’t have enough info to take the plunge into purchasing the full program. After reading this, it’s definitely something I’m going strongly consider!